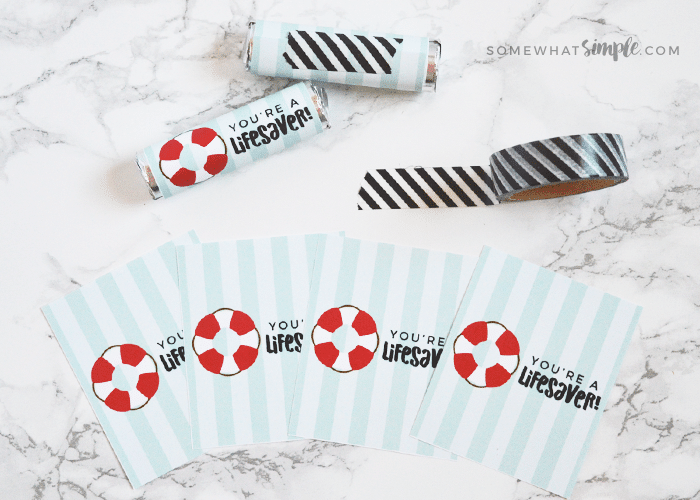 These lifesaver printables are a simple, darling, and perfect way to say thank-you! 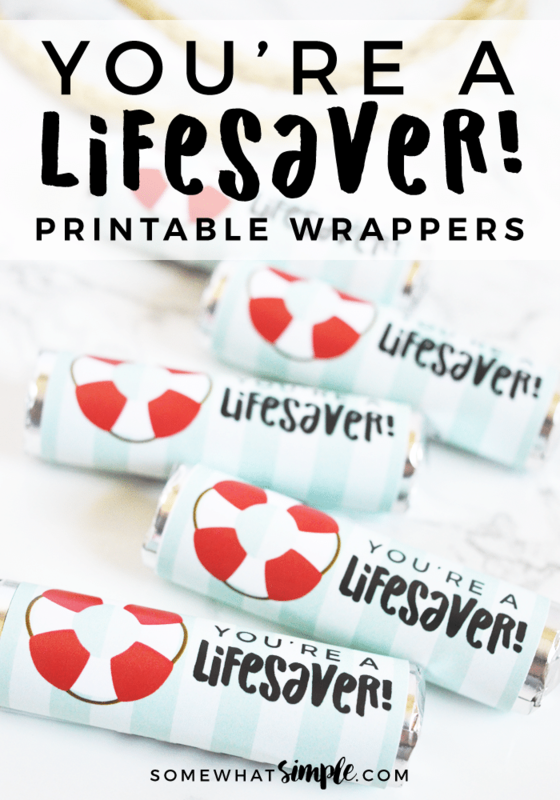 A couple of summers ago, I was asked to come up with a service project for the young women in our church to participate in at their summer girls camp. Our theme for the year was NAVY, but I thought it was a great opportunity to actually say thank you to real members of the Navy for all that they sacrifice to protect our country and preserve our freedom. We had the girls put together simple Thank you cards, and then write a heartfelt note of thanks to a sailor on board that ship. 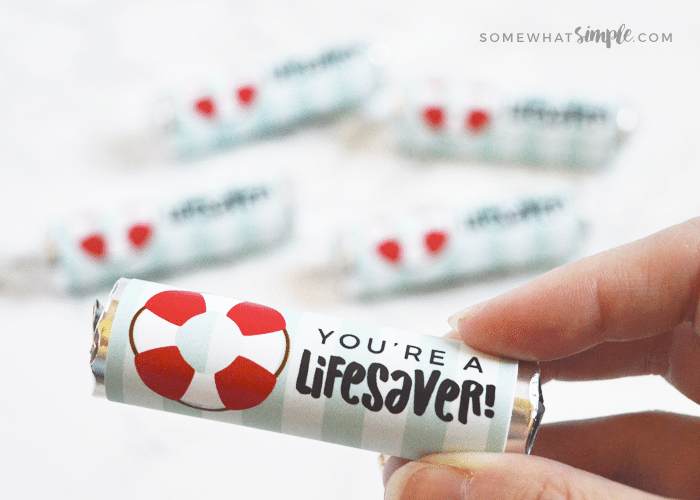 And to make the thank you a little Sweeter, we attached these lifesaver printable labels onto rolls of lifesavers to go with the cards. 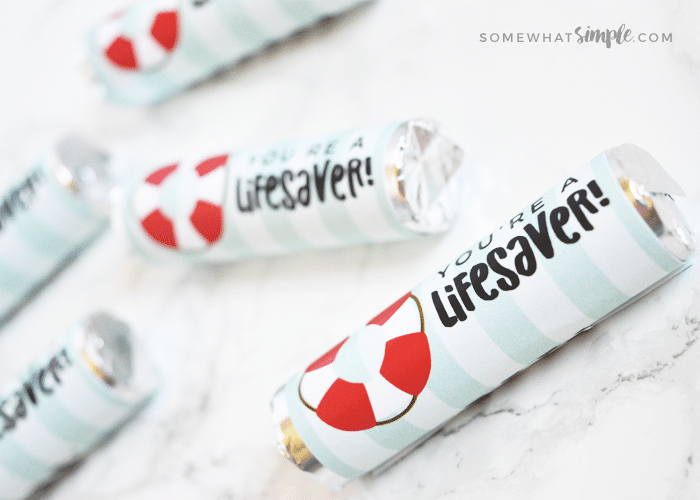 First, print off our lifesaver labels. 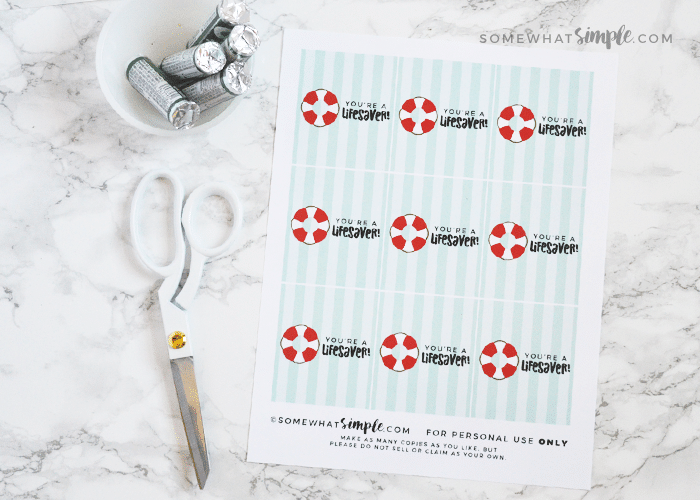 With a paper cutter or scissors, cut out eat label (there’s 9 to each page). 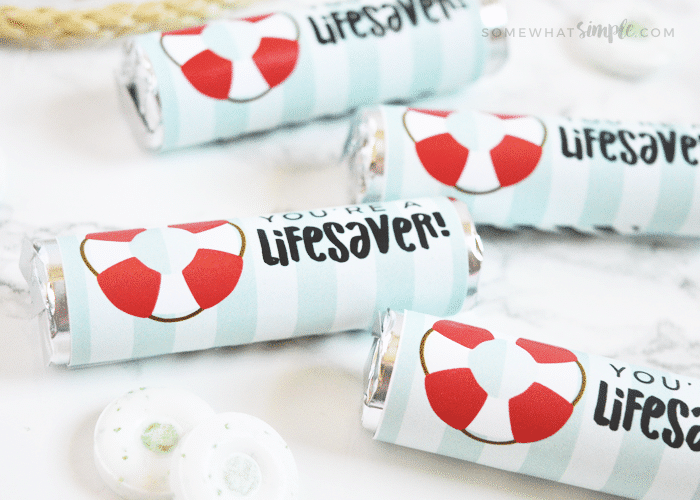 Wrap each Lifesaver roll and secure with tape. 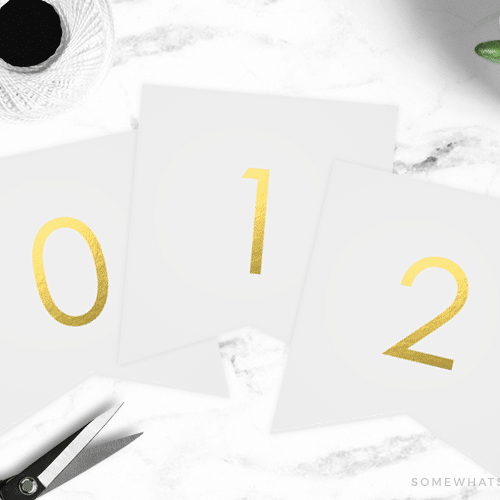 Ready to start making your own? 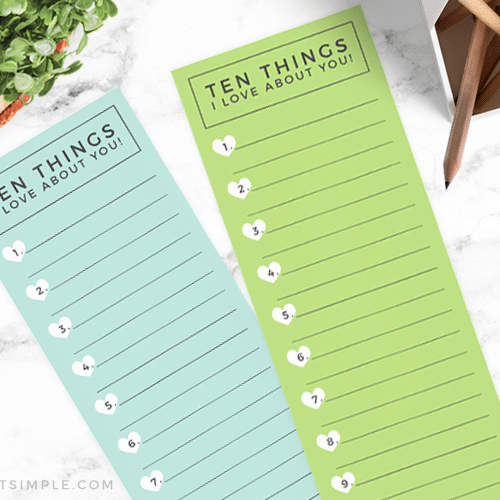 This post originally published in 2011, but was updated with fresh new printables and images in 2017. 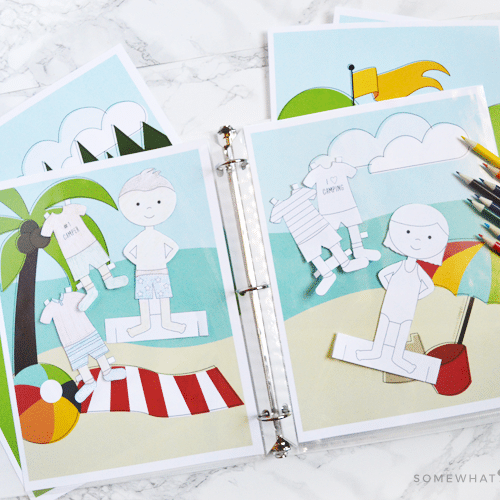 I love the summer of service idea! We all know that you’re so much happier when we’re serving! And it teaches our children great principles. Love the idea to write cards to men in the Navy!